I am a pie. I am delicious. Words could not possibly express all of the sentiments I am feeling right at this moment. 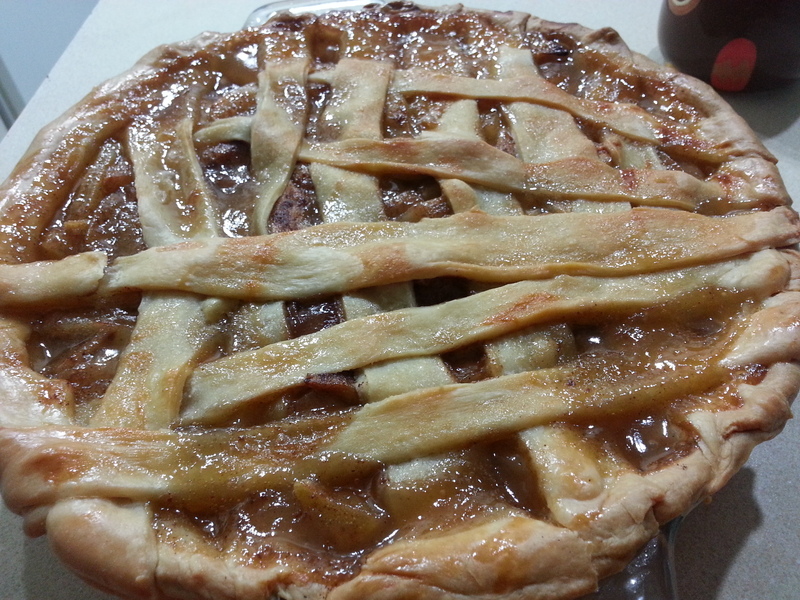 I, I just baked an apple pie. WAIT! I also made the pie crust. But, wait! This is the very first time I do both of those things. My first time baking a pie from scratch and it is delicious! My words… I AM SO FRIGGIN’ HAPPY! Okay, so what I did for this recipe was look at about a gazillion apple pie and crust recipes, discard them all and just take snippets of what I liked the best. 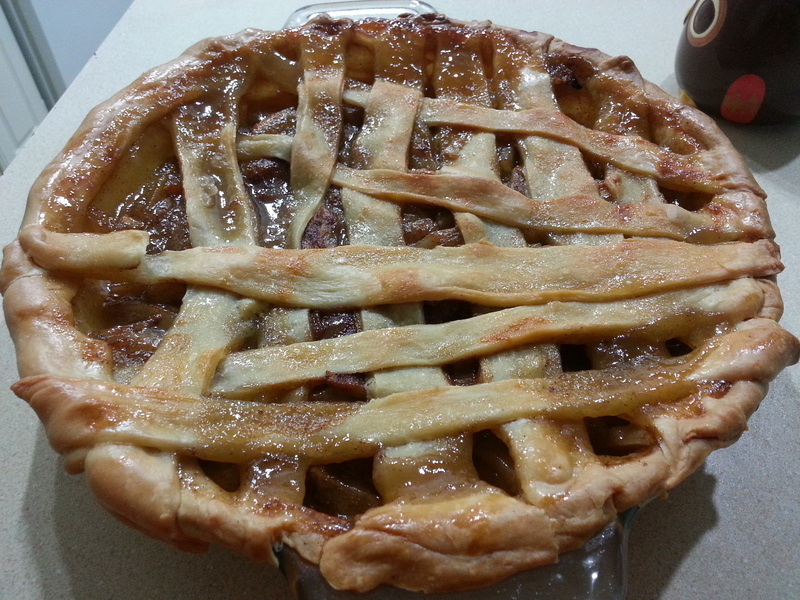 I’ll call it, “Bits and Pieces Apple Pie”. 1. To start with, shimmy your way towards the oven. It’s preheating time! Preheat your oven to 425 degrees. 2. 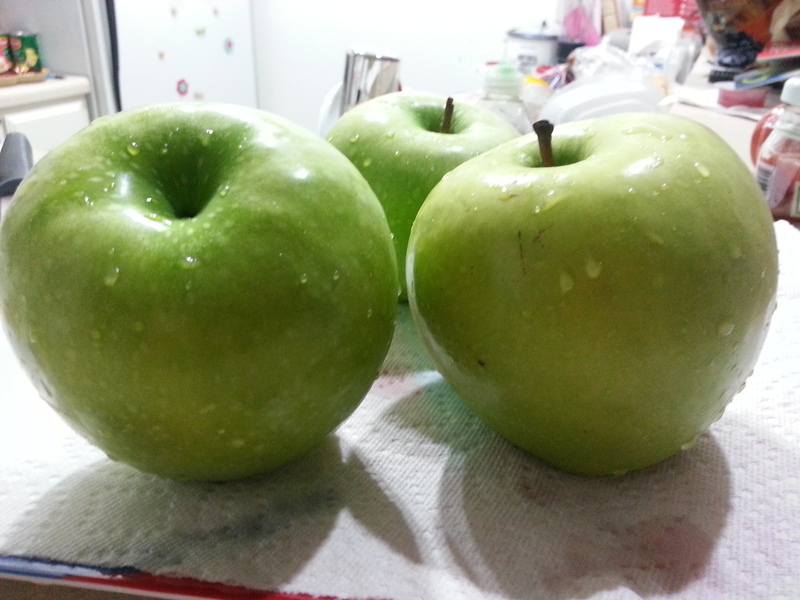 Now this is the dangerous part, you’ll need to peel and slice your apples. Don’t slice them too thick or too thin . You know what? It all really depends on how you prefer your apple pie. Do what you want! Then take your apples and put them on your already prepared pie dish then sprinkle the cinnamon and all spice all over those apples (whether you make your own crust or use the one I made is completely up to you). 3. 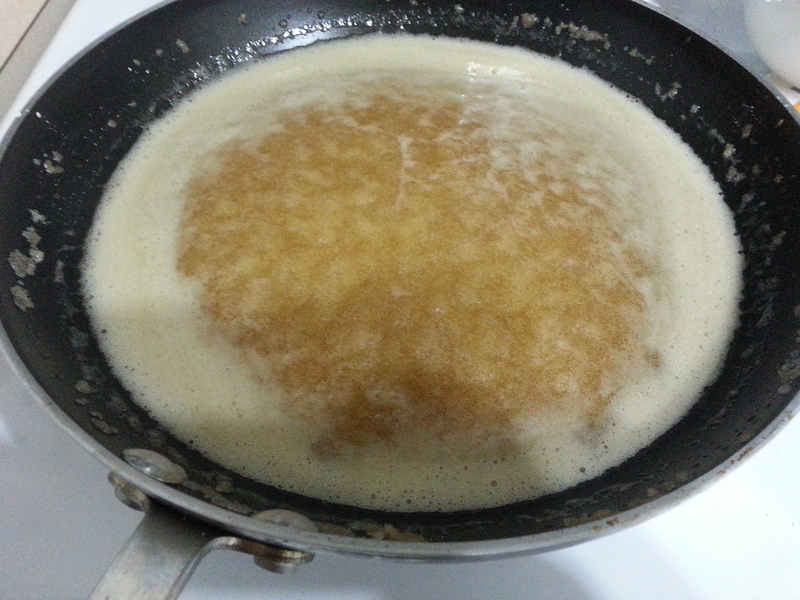 In a medium size sauce pan, heat your unsalted butter until melted. Once melted, add your flour and whisk until the concoction takes a dough-like form. To this dough add, your brown sugar (mix), then your white sugar (mix), vanilla, and then add your water. Keep stirring! You don’t want your mixture to burn. You’ll want to briefly bring it to a boil and then quickly bring it down to a simmer. 3. 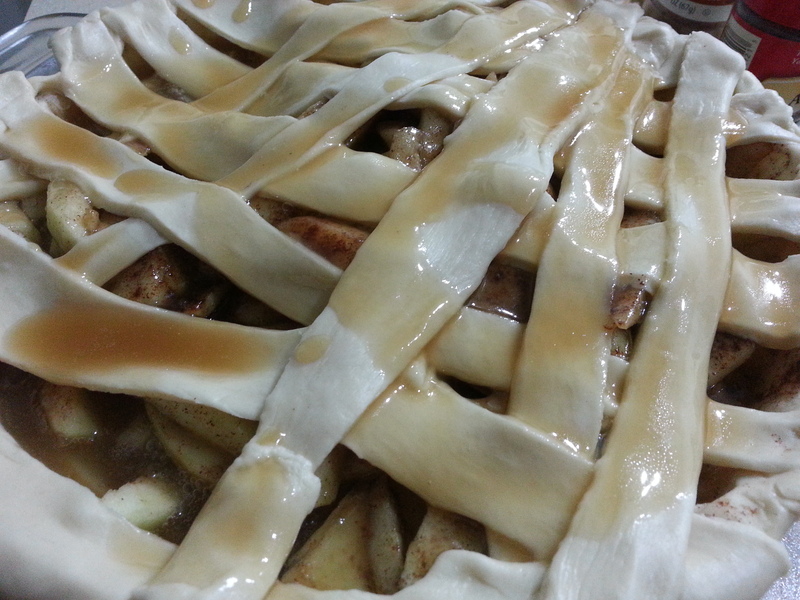 Once your sauce looks thick enough, pour it over your apples (who have been snuggled into their pie crust bed). 4. The time has come for the pie to enter the fiery realms of the baking abyss for about 25 minutes at 425 degrees. Once the 25 minutes are up, bring down the temperature to 350 degrees and bake for 35 more minutes. 5. 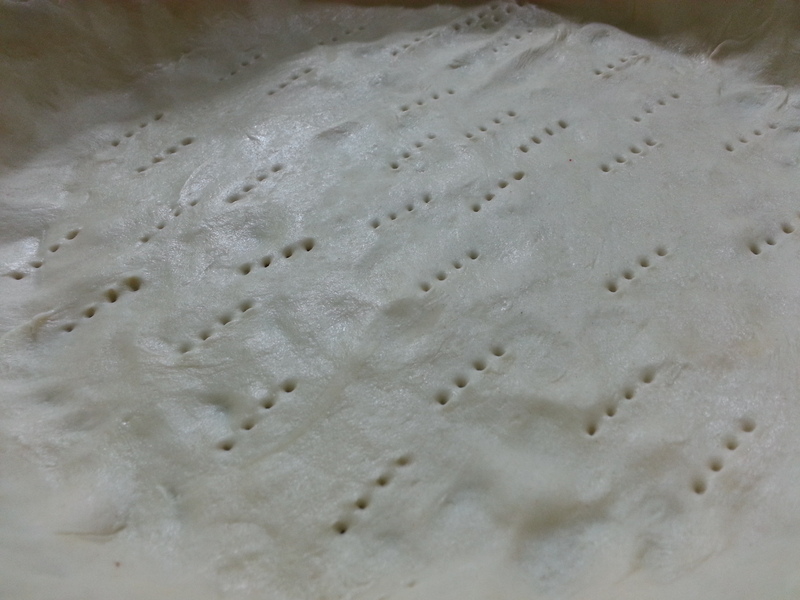 After you give the pie the time it needs in the oven, cool yo’ pie. 30 mins should do it. 1. 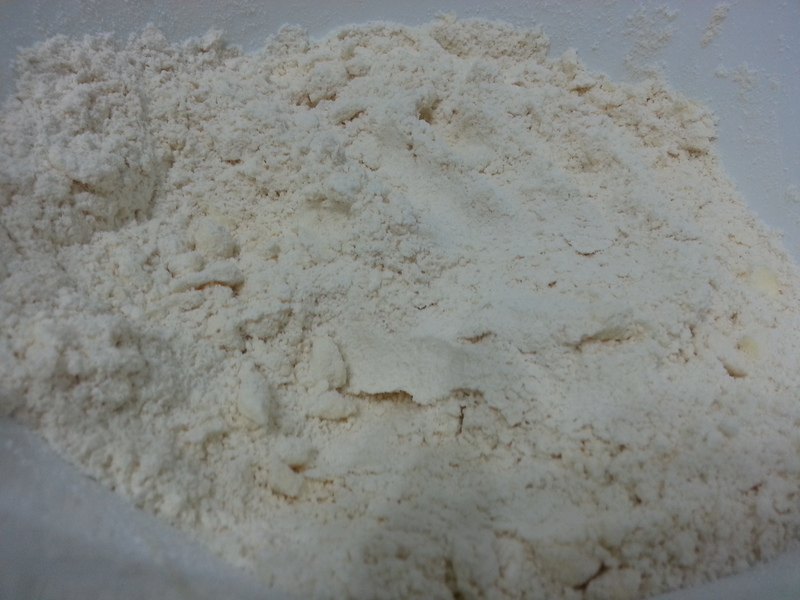 In a large bowl, sift your all-purpose flour and salt together. 2. Chop up your margarine into the flour mix and use the whisk the good lord gave you (YOUR HANDS) and mix the ingredients until they look a bit crumb-like. 3. Add yo’ cold water, make sure the water is cold, not freezing, not warm, just cold. Keep using those whisks until the mixture becomes a ball of dough. 4. 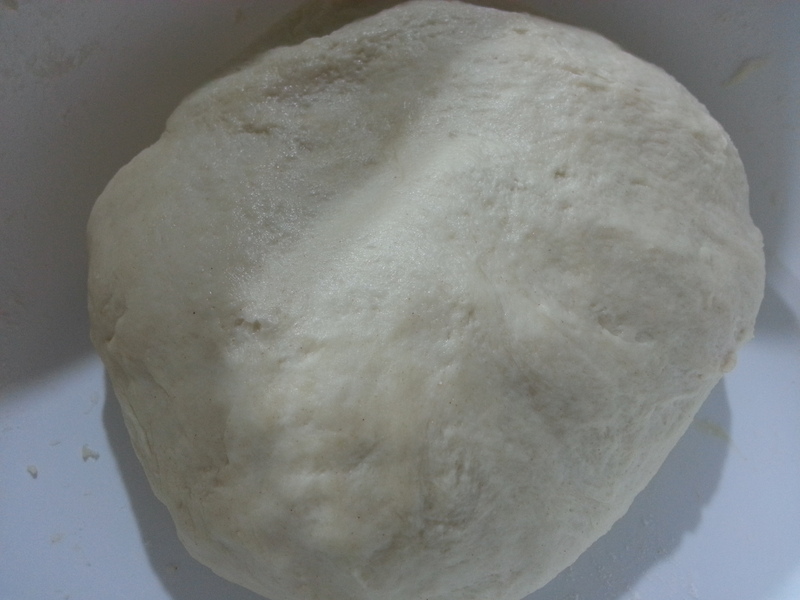 Once you’ve formed your ball of dough, wrap it in plastic wrap (flatten it into a disc-like shape) and place it in the fridge for a good 30 minutes to an hour.